Cheer the USA team to victory. 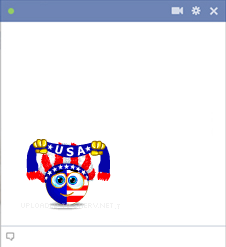 You can post this emoticon to your timeline and root the USA on to the World Cup. Show your allegiance and post this emoticon in a timeline or in a chat message. Visit our website all the time to find new emoticons to share with friends and family on Facebook.